Right C3 is proud to announce the Fourth Prize winner of our Senior Survey Scholarship Contest! Daijai Mitchell of Biloxi, Mississippi was named the $500 Fourth Prize winner. Daijai has already begun her classes at University of South Alabama, where she is double majoring in Mechanical and Electrical Engineering and minoring in Computer Engineering. Daijai participated in JROTC throughout high school and has been accepted into USA’s Air Force ROTC program. She told Right C3 that upon graduation, she hopes to attend Georgia Tech to earn a degree in Robotics Engineering before entering the U.S. Air Force. Daijai said she first became interested in robotics and engineering in elementary school, when her school offered a robotics program. She learned that she loved building things and doing hands-on activities. She also discovered a passion for taking apart things like laptops and cell phones to learn more about how they work. Daijai became interested in a military career after joining her high school’s JROTC program in ninth grade. She told us that at first, she was only interested in joining the program because it counted as her P.E. and Health credits. However, she said that she quickly fell in love with it. Daijai said that her favorite part of high school was JROTC, especially the friends she made through the program, who she said became like a family to her. Daijai told us that her dad was another big influence when she decided to join the Air Force because he helped her compare the different branches of the military. 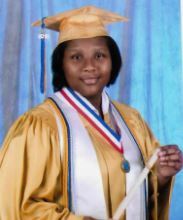 Her parents also influenced her choice of college because both of them, as well as her sister, attended University of South Alabama. After looking into the college and visiting the campus herself, she found many other reasons why it was a good fit, including its competitive engineering program, large selection of activities, walkable campus, and distance from her hometown. In addition to JROTC, Daijai was involved in a wide variety of activities in high school, including Cyber Patriot, a cybersecurity club, Martial Arts Club and Jiu Jitsu, and engineering-related contests and classes. She told us she also really enjoyed the personal connection she had with her high school teachers, which she felt was much closer than with her teachers in previous years. Daijai credits Right C3 with helping her improve her test scores. She used the Right C3 Test Preparation extensively and said that not only did the improvements to her scores help her qualify for more scholarships (around $13,000 total! ), but they also helped her meet the requirements to get into her AFROTC program. Daijai said that she also found C3’s math and science tutoring and college research tools helpful. Looking back on her high school experience, Daijai said that she wouldn’t change a thing about it. Her advice to younger students would be to take any college classes offered in high school because doing so has helped her get a head start on the requirements for her double major and minor. Daijai considers herself an overachiever and says she makes a habit of going above and beyond in her academics. Right C3 believes that Daijai and her parents have a lot to be proud of already, and we look forward to seeing what she will do next. Congratulations, Daijai, and best wishes for the future!